It’s The Icehouse Annual Letter time – yep, its coming to the end of 2018! It’s time again for us to look back on the year that’s been, look forward to the year ahead, and dive into the numbers that represent our and this network's hard work, and the impact that this is having on the families, communities and country we love. This is a tradition that we kicked off last year with a goal to be transparent for all those who are interested in the whats, whos, whys, and hows of The Icehouse, and to be publicly reflective on our hits and misses over the year – albeit we like to think of ourselves as millennial in our age, which means we really only talk about ‘what’s all good’ – ha ha ha! The last year has been an exciting roller-coaster ride to be on. There’s been some big wins and some challenging times, but through all of that, the feedback that we’ve collected and the impact we’ve seen, the work is clearly resonating with our customers and it’s having a positive impact on them and their businesses. I What’s happened over the last year? It continues to evolve and be defined by our markets and our customers. While 2016 and 2017 saw us focused on refreshing values and setting strategic goals to 2021 and 2026, 2018 has seen us tweaking our foundations around purpose, beliefs and core strengths. Here is where we have got to, it's always a work in progress - we hope it resonated with your experience with The Icehouse! To grow a community of entrepreneurs and business owners that collectively cause New Zealand to be a thriving economy and community. A place where it is not only a great place to live, but also a great place to do business. We believe in the extraordinary potential that business has for New Zealand and for the world. We also believe that the key to unlocking potential and success in business is through creating the right mindset in the teams that are leading and driving the business. Our focus is how to establish and maintain this mindset as our customers journey through their business to fulfilling their potential, their success, whatever that will be for them. We help our customers win in business and in life, we help you fulfill your potential. We create focused interventions that help our customers establish the right mindset at the same time as establishing a clear strategy for their business. We support our customers over their journey of challenges & opportunities as and when they need the support, the challenge and the connection. We enable a highly valuable platform of peers, advisors, investors and experts who work with us and our customers, enabling their potential to be realised. We focus on start-ups, investors in start-ups and established SMEs from New Zealand together with a wider network who are interested in being a part of creating an ever-expanding community of entrepreneurs and business owners that collectively cause New Zealand to be a thriving economy and community. Thank you to the network for your input and guidance as we landed this – one massive aspect for us in this work is that we have added another customer group to our focus, not just start-ups and established owner manager firms but now also investors who want to and are investing in start-ups! The Icehouse was established in 2001 and is owned by the International Centre for Entrepreneurship Foundation – a registered charitable not-for-profit. The Foundation focuses on supporting charitable activities in the areas of business growth, education and research. To do this, they work principally in schools, universities and the wider New Zealand community. An exciting new venture that will be launched in 2019 is the funding of two scholarships to support PhD students enrolled in the University of Auckland Business School undertaking research in a topic which has the potential to impact on growing businesses in New Zealand. If you want to learn more about the foundations activity or get involved in our charities work, please get in touch with us here: enquiries@ICEfoundation.co.nz. A lot of the what we covered in last year’s letter still stands true: we enable growth and success in two key sectors, start-ups and established owner managed firms, and while the end-goal of impact might be broadly similar, the 'how' when it comes to The Icehouse can vary. Beginning with start-ups, we believe our biggest assets are our ability to focus at the earliest stage, to put investment behind founders and to create connections that make an impact on the start-up. We hope to be able to foster relationships between founders, investors, mentors & partners; connecting the people with the ideas to the people with the means and desire to enable them. Our activity across the year is dedicated to growing the number of quality people in each of those pools, and providing opportunities for them to connect in a meaningful way. We have also recognised the ‘investor’ group as our third source of key customers to work with over time. The Ice Angels network has grown to over 200 members, The Showcase hosted 1,000 investors in a single evening, Demo Day and Showcase both exhibited some of the most positive attendances and engagement levels so far for both investors and for companies, and we’ve seen successful exits from businesses in our portfolio as well as 52 companies receiving investment as a result. We are also so proud when it comes to diversity with a strengthening partnership with female founder focused angel network Arc Angels, and our Chinese community investors who now number over 40 members of the Ice Angels, and have been a driving force behind the support of Eden Ventures which is investing in China-market-focused and fintech opportunities. Exercises like The Icehouse 100, shifting showcase to Spark Arena, the refinement of Flux, continually reinvesting in the capability of our team, the network of investors, and the founders, have all contributed to a stronger, more connected start-up ecosystem. Watch out for some exciting news early in 2019 on the growth of this initiative! For established owner manager firms, we believe the biggest impact we can have is on their mindset as owners and leaders while supporting the establishment of a clear and we hope winning strategy for their next phase of their business. Whether it’s a kiwi thing or broader, these ‘tall poppy’ symptoms are an area that needs addressing on our programmes. The mindset of a business owner can be either the biggest asset to a company or its biggest detractor. Getting that mindset ready for growth (whatever growth looks like to them) is instrumental in seeing them thrive and boost towards their aspirations. 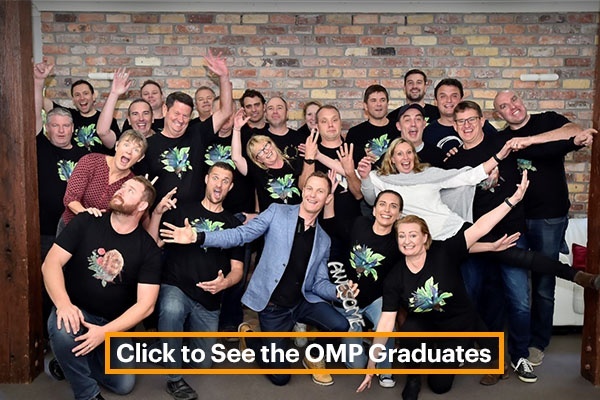 We continue to deliver our Owner Manager and Leadership Development Programmes to owners of kiwi SMEs and their senior leaders respectively and have continued to review the relevance of the content to current market challenges. It’s always interesting to see how much of what we teach today hasn’t drastically changed since the programme's inception! But there are always elements we can change and improve following this feedback. Currently that is our positioning, but I will expand on this further later in the letter. It’s good practice to stress test this often, and it’s great validation for the quality of the speakers on programme. We are looking to continue more future of work, disruption and change content into the 2019 programmes. 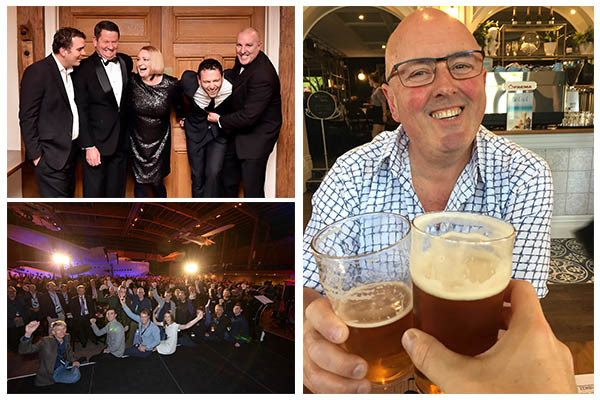 The Icehouse Conference was a champagne moment for us in 2018. Set up to provide an opportunity for our established business network to come together annually, we were stoked with the quality of the attendees, the presenters and the discussions that took place on the day. The Conference built a sense of camaraderie between alumni, even for those who completed at different times, and getting to see that in-person was so rewarding. A record number of scholarships have been awarded to participants this year through our partnerships with our generous alumni and partners Chartered Accountants Australia and New Zealand, BNZ and James & Wells and the Scholarship Fund. This is an important win as not only does it enable business owners who may not have been in a financial position to take part in the programme to join, it shows advocacy from those organisations and the alumni who have offered scholarships for the Owner Manager and Leadership Development Programmes. I What about impact, is it working? With lofty and broad goals like enabling business success, it’s incredibly important for us and for our stakeholders that we are able to measure and report on these goals. It has been a challenging task to define success for business owners and founders on a broad scale. It’s so different for each person. The ‘Good Business’ study we carried out in 2016 made this really clear that it’s not all about bottom-line growth for SMEs. Only 7% stated money as their key motivator for being in business. That shows plenty of space for success outside revenue for business owners in NZ, but how can we quantify that success? The other part is harder to measure, but is in the feedback we receive. The ‘qualitative data points’. And what we are hearing is that the work that we are doing is working. It’s creating meaningful change for the owners and founders that we are engaging with. The Icehouse Hawke's Bay turned 5 years young, enabling a 700 job creation impact over that time! We did not invest in Rocket Lab when we had the chance way back when! Love that story, how inspiring! The Icehouse Conference did not have 800 attendees! We need to do better in 2019, our target is 100! We had to cancel a few programmes like the 2nd Owner Manager Exchange of the year and some workshops like Succession and Transition. Good to have this failure, makes us think how we can do it better. We were given a supportive decline by the Provincial Growth Fund when we applied to establish The Icehouse in another six or seven regions around New Zealand over the next five years. We promised 5,000 new jobs as part of our pitch for up to $4m and we were so convinced that they would go for it that we must have not read the tea leaves – how could they refuse us? What does not break you just makes you stronger, so into 2019 we will be back and find a way – the regions want us, and we may even persuade Central Government to support us after all. Given the job numbers and impact that is clear to be seen in Hawke's Bay from the great team there, it makes us wonder! We had a number of alumni, friends and investors who passed away in 2018 – may they rest in peace and may we all recognise that our time on this earth can be taken at any time! 2019 will be a focus on continual evolution in our business offering to the market with maybe a couple shakes to keep us comfortable. We are not pivoting because we want to or because we must, because we believe slow and steady will always win the race! In the start-up segment we are currently raising Tuhua II our 2nd angel investment fund which will invest into 25 early stage start-ups over the coming five years. Tuhua I has been a stand-out over the last 3 years so we are looking to take Tuhua to the next level! We would love to have more wholesale investors who want to come onto the journey, please get in touch with Robbie Paul. We will also be looking to scale more broadly our engagement with our investor pool to support them on their journeys and we will also be adding more technology to the investor engagement. In the owner manager segment we have some work to do in our positioning in the market place as we are being told we may have the potential to become too generic and function-oriented and not reflective of the transformation that happens to customers who come on The Icehouse journey. We will lean into this as we also update our fact base of market share, coverage and gaps while we continue to invest in the development of our team members to bring value to our customer's journeys over time. We are going to launch a new platform for our owner manager participants as they go through the programme that will morph into wider alumni platform to connect, do business and access value that is free baby! Yes, we are going to expand in the regions of New Zealand because we know it works from the Hawke's Bay experience – so look out regional New Zealand. Key for us is finding the lead resource who can engage with SME customers in the region. If you are one of those people, reach out and otherwise look out for us in one and maybe up to three more regions in 2019. The Icehouse ecosystem exemplifies this rule. The 28 of us working in The Icehouse team; our volunteer board members and advisors; the investors; the business owners; the leaders; the founders; the presenters; the partners; the coaches; the facilitators; the leaders; the families… each part, while powerful in their own right, is amplified when brought alongside each other. 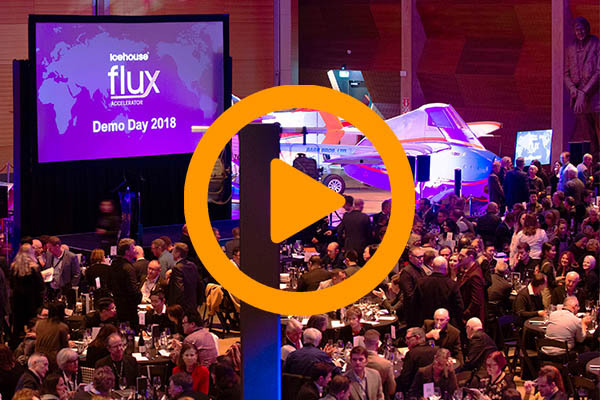 Our (that’s all of us, you included) ability to positively and significantly impact the New Zealand economy and create an environment where ideas and businesses thrive rests on the shoulders of the whole ecosystem (including you). The Icehouse team’s contribution to this is a tenacious commitment to connect the people who are doing great things with the people who can support and enable those doers. You can do your part to support that, just as we will continue to do so. Thanks for reading and have a great final run into Xmas and the opportunity for some fun, some sun, maybe some snow, definitely some reflections over the year that has been and finally some goal setting for what you want to achieve personally and in business in 2019 – rock on people.